Wayne State University Press, 9780814345207, 216pp. The four stories range from the utterly surreal-a factory worker seeking recognition for his writing gives birth to a small black elephant with a mysterious message on its hide-to the utterly real-a nerdy black teen's summer away from home takes a turn when he encounters half-white twins on the run from the police. Prominently known as a Detroit poet, hunter creates illusions and magic while pulling back the curtain to reveal humanity-the good, bad, and absurd. 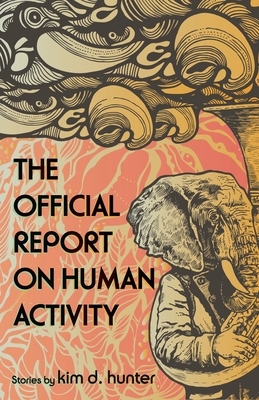 Readers will find their minds expanded and their conversations flowing after finishing The Official Report on Human Activity. kim d. hunter has published two collections of poetry: borne on slow knives and edge of the time zone. His poetry appears in Rainbow Darkness, What I Say, Black Renaissance Noire, 6X6 #35, and elsewhere. He received a 2012 Kresge Artist Fellowship in the Literary Arts and he works in Detroit providing media support to social justice groups.